I received this yummy box of fiber in the mail yesterday. 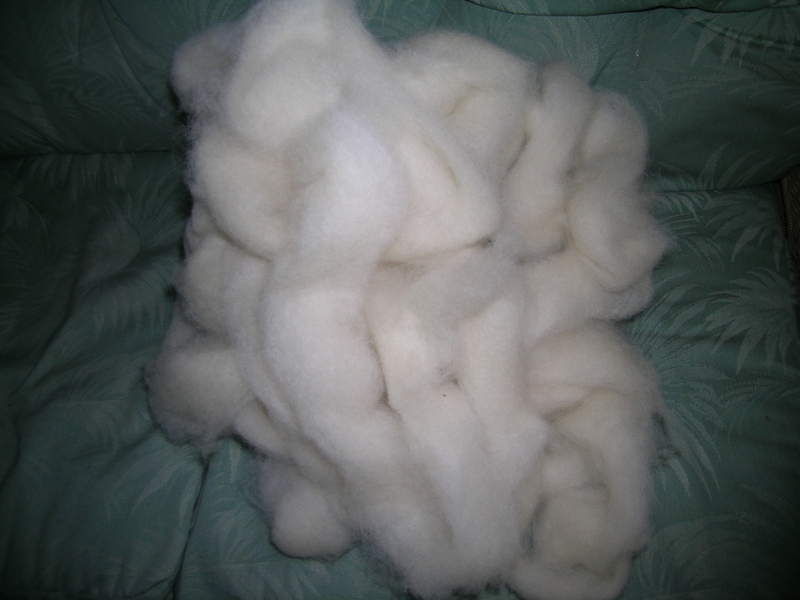 This is some scrumptiously soft, beautiful lambs wool from Punkin’s Patch, a wonderful group on Ravelry that had a Tour de Fleece group called : “My Favorite Sheep”, run by thecrazysheeplady on Ravelry. My favorite sheep for the tour was Shetland, as I was trying to spin and understand the breed. I must admit, I like the rougher, more primitive wool of the Shetland a lot. And, I do love knitting with it for Fair Isle. So, I was the winner for meeting my goal, and this was my prize. I am so excited to spin it. I do not have a scale right now, so I am not sure what the weight is. Tomorrow is a visit to the Michigan Fiber Fest. My first time there, my husband is as excited as I.